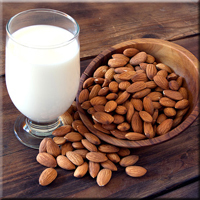 Made with real California almonds, Almond Breeze Original is a deliciously creamy alternative to dairy and soymilk. It is lactose free, soy free, and calcium enriched. Pack Size: 12/32oz carton shelf-stable case.